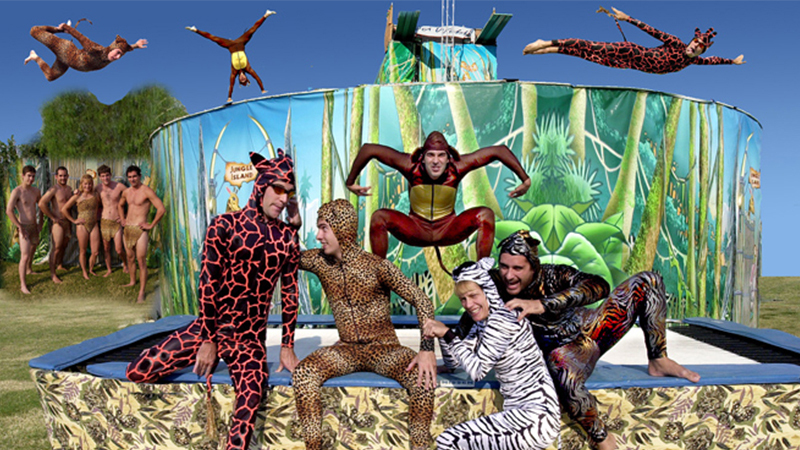 The Jungle Island High Dive Show features your favorite wild animals. The zebra, tiger, leopard, giraffe and monkey perform awesome acrobatic feats, entertaining comedy and daring high dives to the amazement of the audience. The setting is beautiful greenery and can include a trampoline to elevate the animals’ antics.